RICHMOND, VA (December 3, 2015) – Rutgers University has had a monumental season, making history for the women’s soccer program. Nine of their 11 starters are former ECNL players. Their top six reserves played for ECNL clubs. Their head coach and associate head coach have managed teams that have won ECNL National Championships. The ECNL formula has been prosperous for the Rutgers University women’s soccer program. On Friday, the Scarlet Knights will meet Penn State in the NCAA College Cup – Rutgers’ first venture to the Final Four. O’Neill is the Director of Coaching at the Players Development Academy (PDA), now in his 16th season at Rutgers and second as the head coach. He is also one of the founding fathers of the ECNL concept. The Rutgers starting lineup at the College Cup will include sophomores Casey Murphy and Colby Ciarrocca who were teammates on those ECNL National Championship teams with PDA. Ciarrocca leads the Scarlet Knights in goals (9), game-winners (4) and assists (4) while Murphy, a strong candidate to represent the U.S. in the U-20 World Cup next fall, led the nation with 19 clean sheets, a Rutgers single-season record. The starting group of Scarlet Knights also includes senior co-captain, Maggie Morash at left back and a graduate student up top, co-captain Cassie Inacio. Morash and Inacio competed in two ECNL national finals together with PDA. The challenging atmosphere provided in training for both of the PDA ECNL National Championship teams was set by O’Neill and Meghan Ryan, his current Associate Head Coach at Rutgers. Ryan is in her eighth season as a coach at Rutgers after five seasons as a student-athlete. She also became the first female head coach to guide a team to an ECNL National Championship with PDA last summer, touting Rutgers freshman midfielder/back, Kenie Wright, who was selected to the ECNL Top 11. Ryan, a former three-year captain and center back at Rutgers is responsible for Morash, Wright and the rest of the back line. The stingy, organized unit helped Rutgers to its best season in the 32 year history of the program. The 19 wins easily eclipsed the total of 16 earned by the 2006 team. Prior to this season, Rutgers had never advanced past the Sweet 16 of the NCAA Tournament. Rutgers defeated Virginia after losing second round matches in both 2013 and 2014, executing a near perfect tactical plan against the Cavaliers who were national finalists a season ago. O’Neill is counting on those ECNL experiences that are shared by so many in the current Rutgers program, to boost his side toward the second overall national championship in Rutgers athletics history – the first and only trophy was earned by the fencing team in 1949. 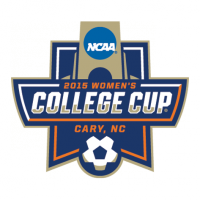 To learn more about ECNL Alums in the 2015 Women’s College Cup, click here. Rutgers meets Penn State at 5:00pm ET, while FSU and Duke kick off at 7:30pm ET. Both matches will be televised live on ESPNU. Women of all ages can share their personal moments of inspiration through social media and at www.AmazingYoungWomen.com. Every share and submission helps drive a movement that celebrates the power of what it is to be a girl today. Each month Amazing Young Women of the ECNL will be chosen from online submissions and social engagement to be showcased at AmazingYoungWomen.com. Through testimonials, tips and tools, the website is providing all girls to view, share, and celebrate what it is to be motivated, strong, and successful. About Elite Clubs National League: The Elite Clubs National League, Inc. (“ECNL”) is a 501(c)(3) non-profit member-based organization founded in 2009 to enhance the developmental experience of the female youth soccer players in the United States through (i) Improving the competitive environment through creation of a true national competitive league; (ii) Improving the process for identifying elite female soccer players for the U.S. Soccer youth national teams through a systematic scouting and identification program based on national competitions; and (iii) improving the daily training environment at top female youth soccer clubs through developing best practices and training and organizational guidelines for its member clubs. The ECNL is sanctioned by US Club Soccer and is sponsored by Nike Soccer.